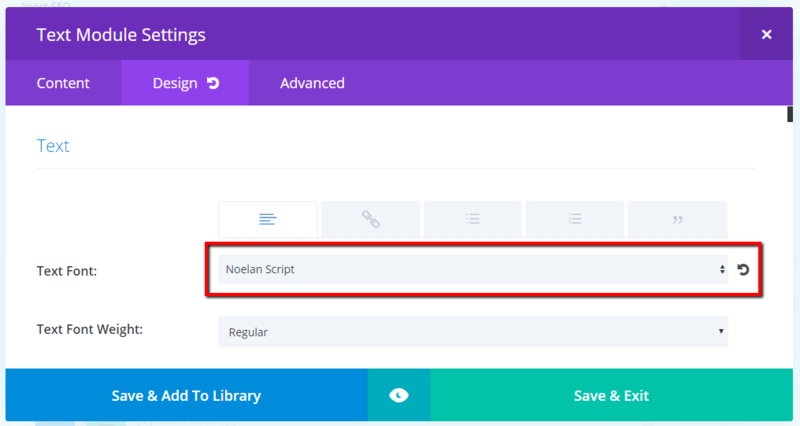 In any module with text on your site, click into the module settings. Click on the “Design” tab, then click on the font selector. Then in the font options, click “UPLOAD”. 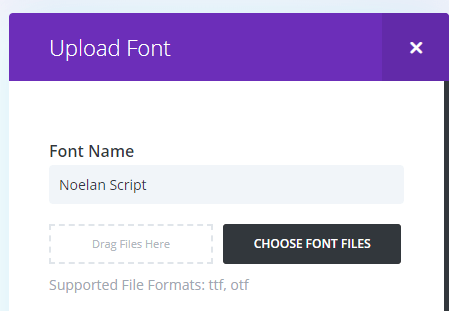 Write in the font name, then upload your font’s ttf or otf file. 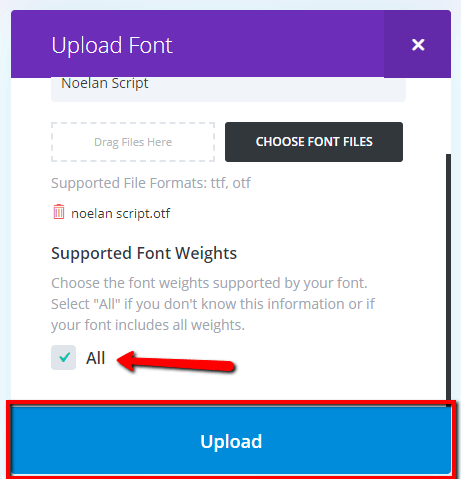 Once the font file has been uploaded, select the specific font weights you want supported (or leave as “All” for all). Then click “Upload”. Your font is now uploaded. You can select it and save in your desired modules on a case-by-case basis. But to set it as a global font, don’t save it as a selected font (unselect it) in your module’s settings.